Jillian Kupferberg is a graduate of Trinity College where she received a Bachelor of Arts in American Studies. She earned an Interior Design degree from the New York School of Interior Design, ranked one of the top interior design schools in the nation. 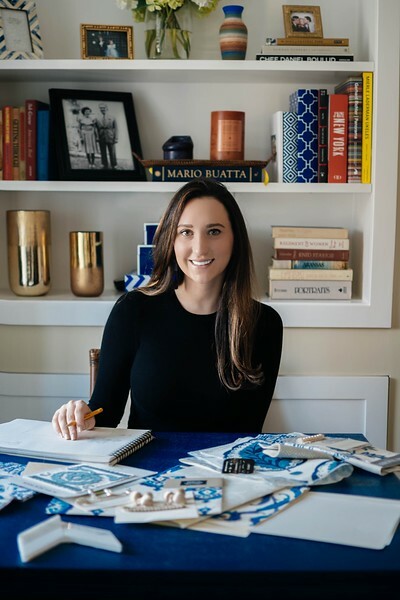 Having pursued design at a young age, Jillian has had the opportunity to work with some of the top interior designers in the New York Metropolitan area. Her experience includes working for Keith Baltimore of The Baltimore Design Group and Ashbourne Interiors. While a student at the New York School of Interior Design, Jillian interned for Celerie Kemble of Kemble Interiors in Manhattan. Jillian also held a Junior Designer position at Lindsay MacRae Interiors, LLC. Currently, Jillian is an Interior Designer at award winning design firm, Hudson Interior Designs in Boston, MA. Jillian works on various independent design projects from Manhattan to Massachusetts. When she is not designing, Jillian enjoys traveling, and cooking. Her current projects include a Long Island family home and an apartment in Bostons historic Beacon Hill.